The World YWCA held The International Leadership Institute for Young Women (ILI), themed “Her Future – The Future Young Women Want” in Bangkok, Thailand, and hosted 53 young woman representatives from over 45 countries around the world. 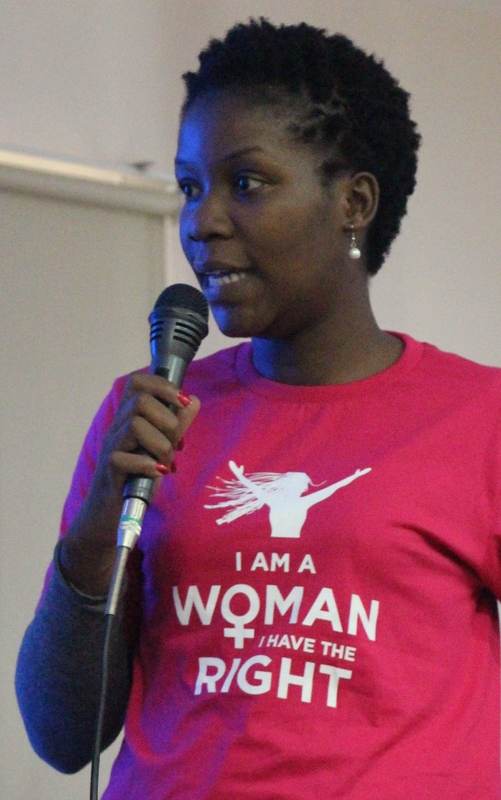 24 year old Rebecca Phwitiko, President of the YWCA of Malawi and World YWCA board member who was a participant at the event, shares her experience. I have grown more confident over the last two years. I have learnt to trust myself when I stand in front of people and watch the way they seem to be hanging on to my every word. It’s amazing, this feeling, this knowledge that what I have to say actually matters. This is what the YWCA has done for me, in spaces much like this one, this International Leadership Institute in Bangkok, Thailand. This session is about connecting the local to the regional, and the global. It is about equipping us with the skills that will culminate into strong advocacy action around the future young women want, ahead of the MDG review in 2015. It is also a critical reference point for a global young women’s strategy as we approach World Council that same year. I come from Malawi, where a woman is president! We celebrate such milestones. But challenges remain. There are a lot of pregnancies, as is the case in most Sub Saharan African countries. And during the ILI I found out that the Asia Pacific region is facing the same problem. So for me, this was an important eye opening aspect of this session, learning and appreciating the trends in other regions. Because advocacy is not just about ‘our issues’ it’s also about ‘their issues’. It’s the perfect setting for new friendships, new knowledge. 50 young women, from all over the world, small and big states, old and new YWCAs, conflict and developed regions, coming together to build a network of young women champions. Its all happening amid overwhelming Thai hospitality, courtesy of the YWCA of Thailand. Important lessons about advocating with evidence, supporting each other and staying connected on a journey of advocacy, a journey of leadership. Its yet another illustration of the World YWCA’s commitment to young women and their leadership. The Young Women’s Champions Program will see us, this group for young women, supporting each other in national, regional and global advocacy spaces.